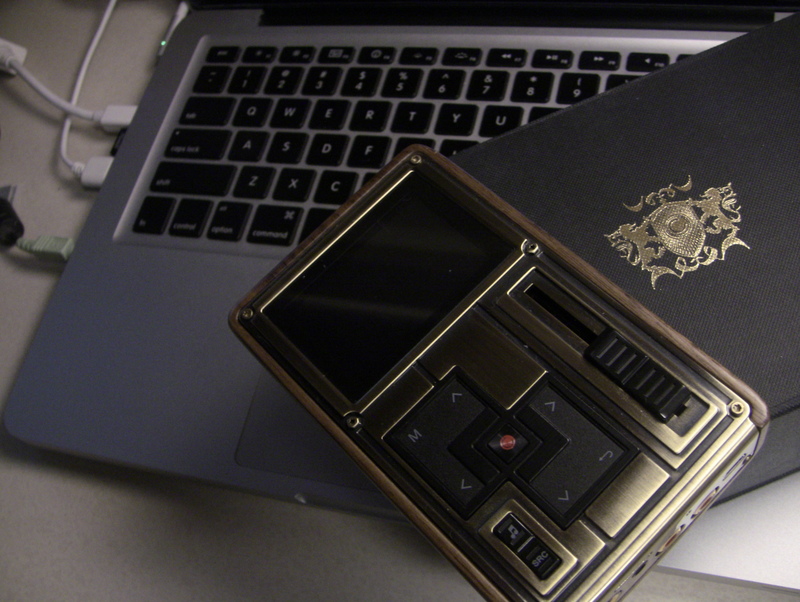 Discussion in 'Portable Source Gear' started by bowei006, Feb 22, 2014. 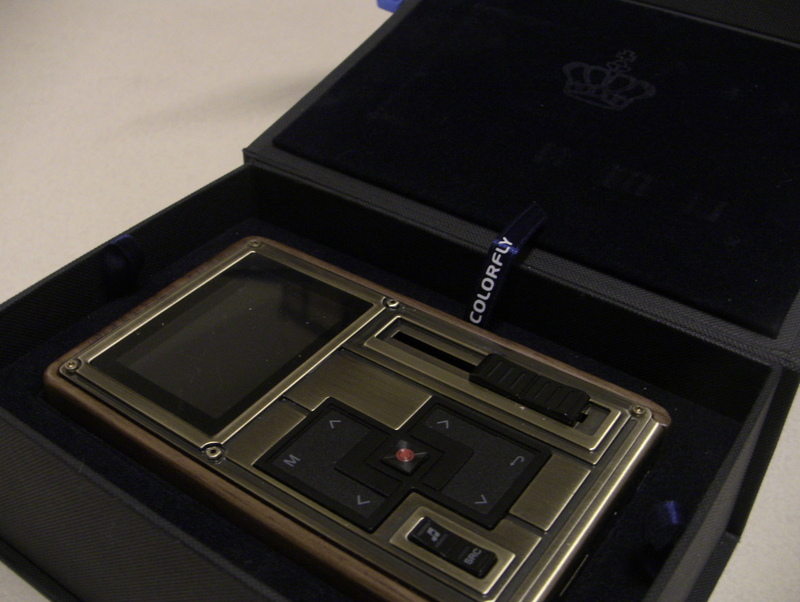 The C4 Pro is the current flagship from audiophile brand Colorfly. 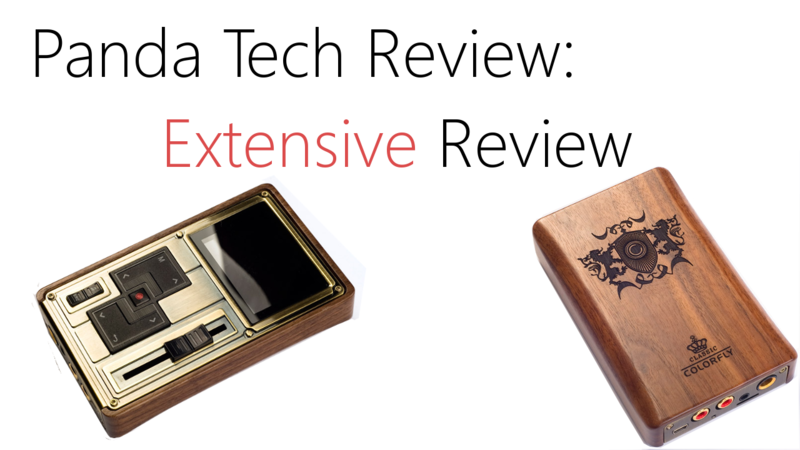 It packs some of the industry’s fanciest gizmos and gadgets, and comes in at around $799 USD. The first thing you will note about the C4 is its homely and undeniably wooden look. It looks like an antique player. The metal face plate and screws look custom crafted and made – there are many imperfect areas – like something my grandfather would have produced. I like it actually, the very slight imperfections give it that feel and look of ingenuity that the player is known for. What catches the eyes next would be its control panel – there seem to be so many buttons – on the front and bottom. Despite how it seems, however, the C4’s control scheme is actually very basic. We have the movement keys, menu key, volume slider, and specialty keys on the face, and the audio output/input, charge, and micro SD slot on the bottom. It’s remarkably simple to use once you play around with it for a bit. 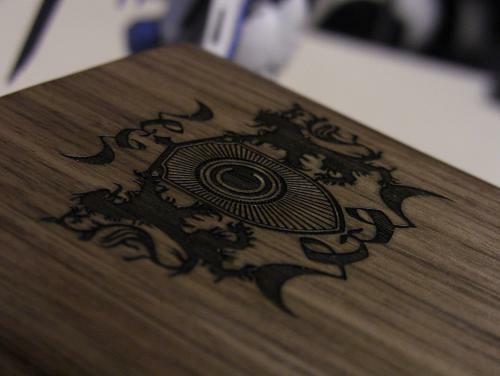 The build of the device can be remarked as bulky, intrusive, and wooden. Colorfly makes no attempt to refine, or sleek-ify the C4; the side width is huge! The C4’s outer shell is carved out of a solid block of wood and refined, it is done remarkably well considering the work that goes into it. The faceplate is an L-shaped piece of metal that wraps from the front to the bottom with a bit of metal curving here and there. 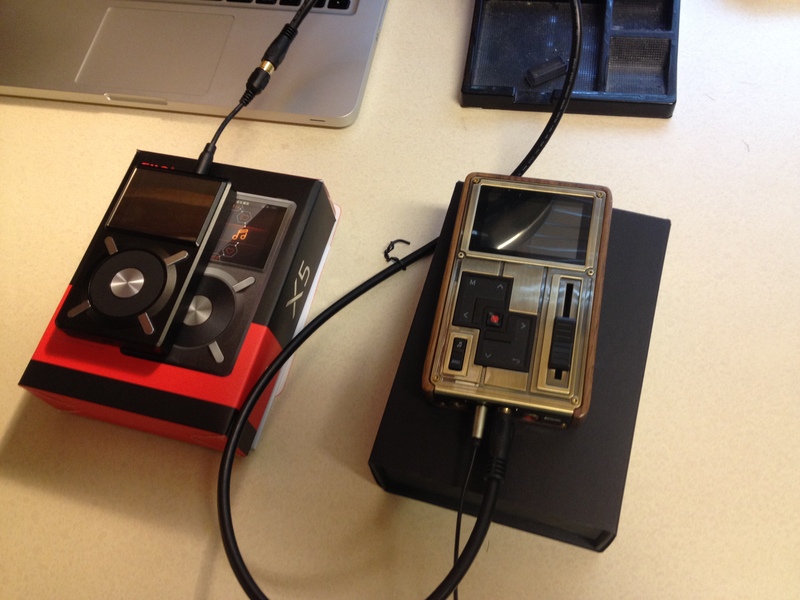 I find that the C4 works better as a desktop-based portable DAP due to its bulkiness. It is very awkward to hold and operate with while you are out and about. The C4’s physical build just doesn’t make sense in those situations, so I wouldn’t recommend thinking of, or in using the C4 like it was an iPod. Colorfly makes no attempt at creating a more ‘holdable’ unit sadly, and this is one of the largest cons of the unit. The plastic on the face-plate is not as remarkable as the rest of the unit. 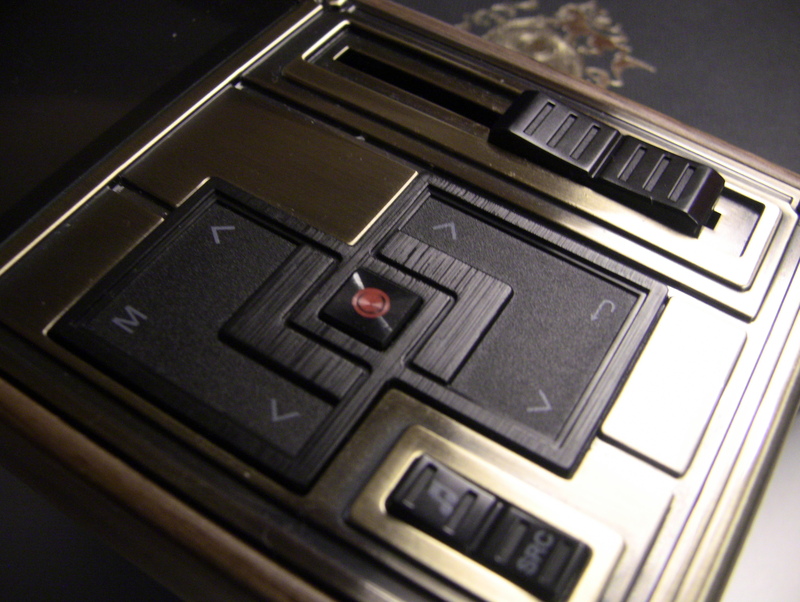 One example will be the aesthetical texturing on the plastic buttons. It is not as well textured and it doesn’t jump out as the rest of the unit, but it does offer good strength in the type used. The menu keys on the face use the best plastic and construction. There is a ‘milled’ looking pattern on the plastic bezel around the keys, while the keys themselves have a slightly rough surface. 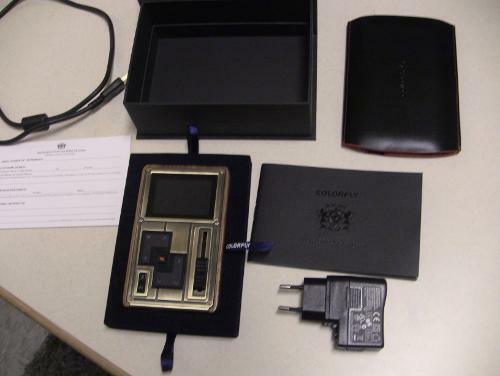 The specialty keys in the bottom left of the device and the volume slider use smooth plastic. There isn’t anything special about these compared to the menu keys. The issue of slight imperfections on the C4 is blatant with the plastic’s free-play however. While the slight un-refinement of the metal plate and carving made it look fabulous and homely, the plastic on the front wiggles a bit. The menu keys on the front and the specialty buttons jiggle like a block fitting into a puzzle. The real problem key is the volume slider – which is also the biggest item on the entire front – where it displays a, comparatively, large amount of free play in its movement. This isn’t an issue in most situations, and doesn’t affect the device in most ways, but at $799, I would expect such free-play in the faceplate keys to be finished. The bottom I/O panel of the C4 is loaded with features, and should be your main focus. 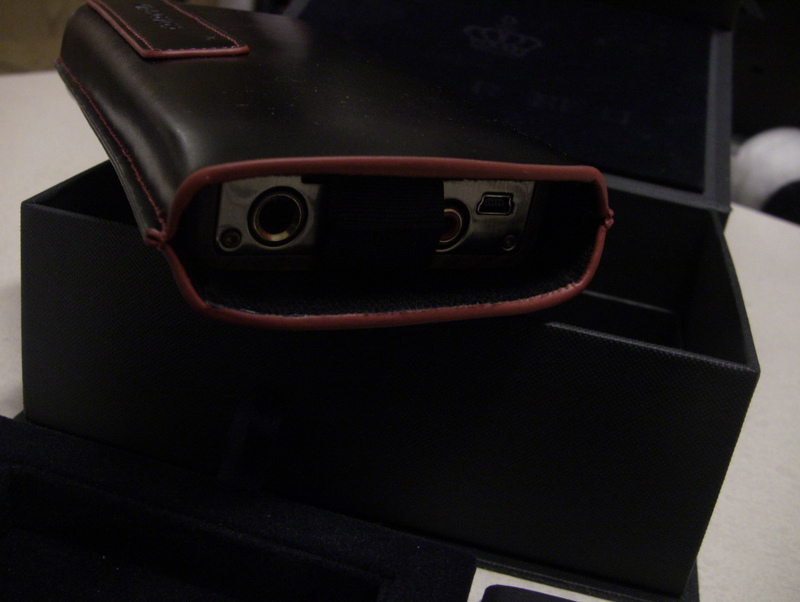 Starting from the left – while looking at the device’s faceplate – we have the quarter inch and the 3.5mm headphone out; they can be used simultaneously. Above the two of these outputs is the micro SD slot; the C4 supports up to 64GB micro SD officially, but do note that it comes with 32GB internal storage. Past these crucial ports, I come up upon the two 3U gold-plated RCA connectors. 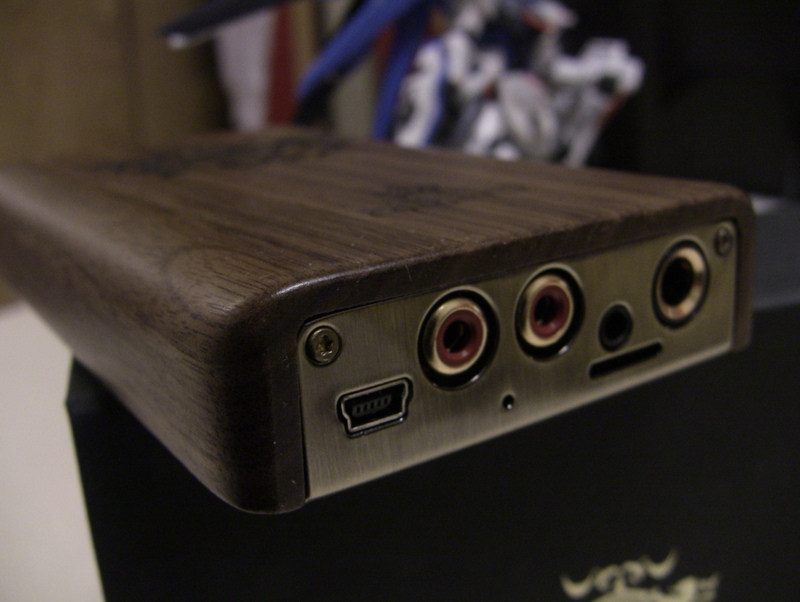 These are used solely for S/PDIF – which is digital I/O – with the left connector being the input, and the right, the output. These are used to make the C4 either a DAC or an amp for another source, or to allow the C4 to be the main source for a component that has a Digital Coaxial (S/PDIF) input. The last two ‘ports’ are the reset port just above the two RCA connectors and the mini-b USB connector for device management. The C4’s sheer amount of connections situated right next to each other make it hard to know what does what at first sight. 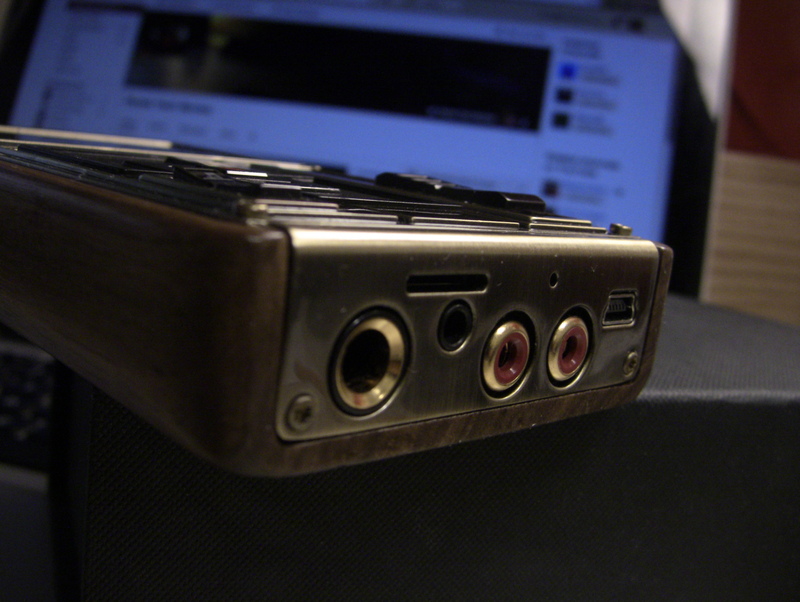 Almost every single type of audio connection part on it can be implemented to be the other. 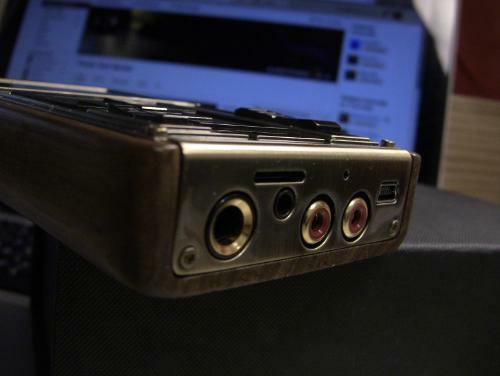 The digital based RCA plugs on the C4, is a viable format for analog audio out, while the 3.5mm and quarter inch analog ports can also be used for digital purposes if implemented correctly. This makes it so that you can’t really ascertain with upmost certainty what a plug does. Thankfully, Colorfly includes a very well written manual with the unit. The most critical failure of this design would be the mess of cables on the C4 with everything decked out and plugged in. The C4 fits so many connectors that can all be plugged in at nearly the same time. You just won’t have the space to plug cables in that are thicker than normal. The C4’s I/O connections – once you have mastered them – are a godsend for power users. They allow for a wide range of uses with almost every device you can ever think of. The C4 excels as being a portable, but desktop oriented, unit due to its Swiss army of input-output plugs. 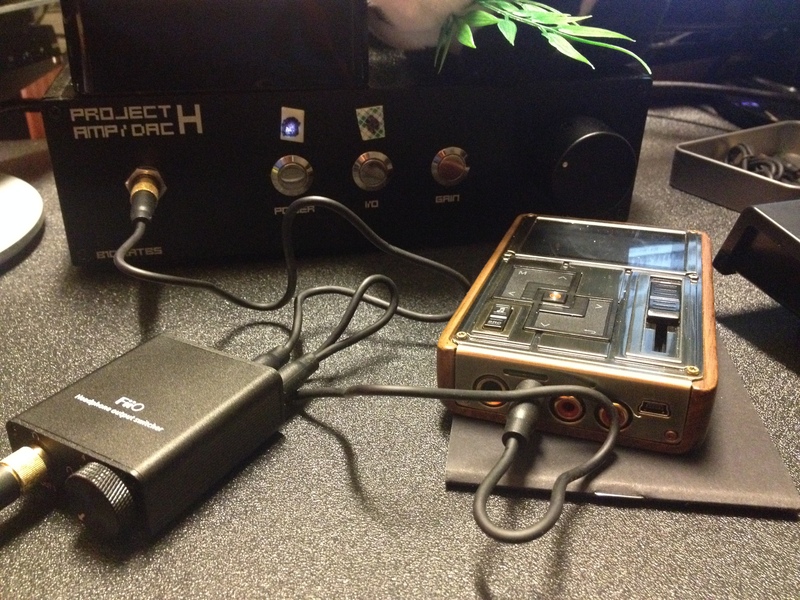 I can easily use the C4 as a source with my speakers through a receiver, or I can send it audio files from another source, and use it solely as a DAC and amp. 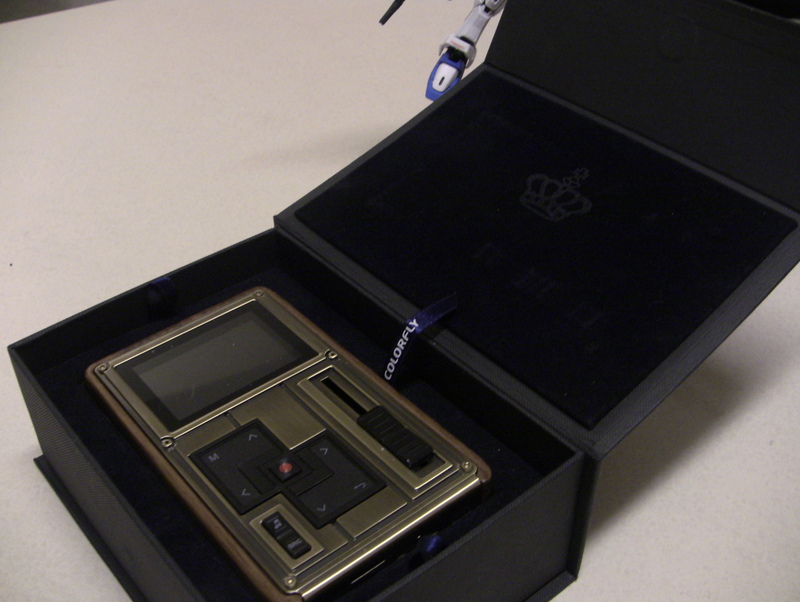 Its feature set is balanced, and performs without hiccups with all the testing I have done. The user-interface of the Colorfly is plain, but has very simple to use menu structures and organization. Booting the C4 up, I’m will first be met with all the users’ music on the internal storage if a micro SD card isn’t inserted. If there is a card inserted, I’m met with a choice of choosing between going to the micro SD or in using the internal storage. You can easily return to the choice option of which storage device to use by pressing the back arrow. Past the storage, I can see the folders and song files I have loaded onto the storage medium as it would appear on your computer. You play the files just as you would on your computer: you go to the folder with the song and, once in it, you press on the song file with the middle button. The operation is very simple, as is the menu key and back key functions; although I would recommend reading the manual to know the menu structure. The UI’s general feel is that it is so simple that it is good. Many DAP’s on the market have overcomplicated interfaces that lead to problems of categorizing and recognizing music, or in weird functions and bugs that happen. Colorfly’s C4 can disregard most of those issues with its clean UI. You don’t have to go into it knowing what to do, it is literally as simple as browsing files on a computer. The simplicity however can be considered an issue at times, not to mention, the lag. With the C4 operating almost like a computer, it makes it a bit stale to use. Some may not appreciate it, and would rather have fancier functions, customizable UI, or even a different color. These are valid problems, which I also have a stake in; the yellow font color does get old after a while. The user-interface also has a recurring bug in where a newly inserted micro SD card will not allow the device to boot at all. This is easily rectified by taking out the card, and inserting it while the device is on, and then power cycling the device. But, what matters most, is the lag that the UI displays. UI unresponsiveness is one of the biggest things that I dislike in a consumer device, and while it’s not a major issue on the C4, it is the most noticeable. Pressing multiple keys in near conjunction with each other, scrolling down a list of songs or albums display a lot of visual and computer lag. Visual lag being that you can see the C4 reacting slowly, and computer lag being where button presses are not registered if done quickly. The C4 is working with lots of HQ files, and needs to of course prioritize audio playback, that is a given, but I would like to see Colorfly integrate a better processing chip(SoC) next time around, or work in software optimization if possible. The device’s features, while they may be intuitive on the drawing board, sports some weird build practices and components on it. 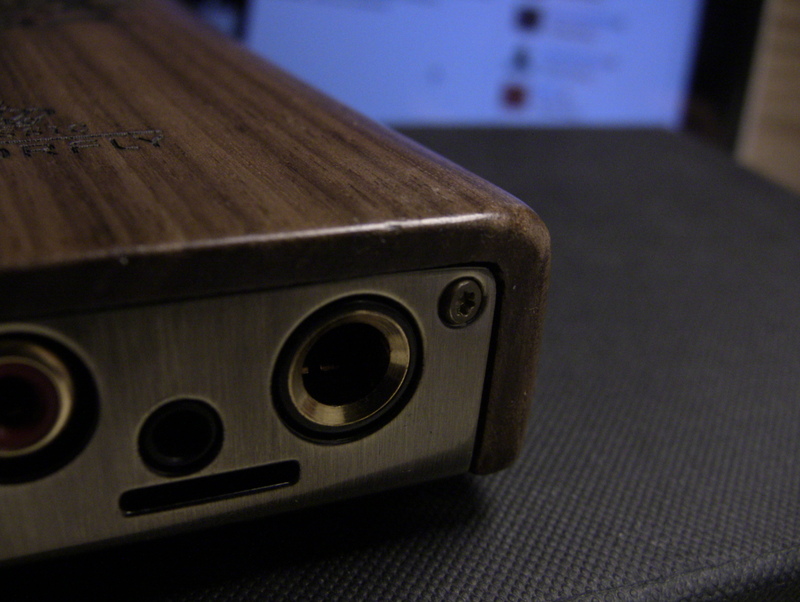 While the slight imperfections of the faceplate attached to the homely wood, look and feel nice. I am left wondering why they choose that instead of a more industrial approach. All of the input/output ports being on the bottom right next to each other also make for a weird design when many companies choose to separate the ports to other areas of the device. And then I also wonder why they added the frequency band visualization into the UI, or why they choose the 3U gold-platted adapters. Questions like these have simple answers, but many of these feature’s explanations do stop in the middle of the road for a complete answer on the ‘why’. Yes, the frequency visual looks nice and adds spice, but it doesn’t do anything. There is an EQ, but you can’t customize it, and yes, gold-plating the connectors is nice, but does it really change much? The C4 is litered with questions like these and more. But thankfully, unlike other DAP’s, the slightly questionable additions don’t change much about the device, and still work in their capacity without much problems. The same can’t be said for others. 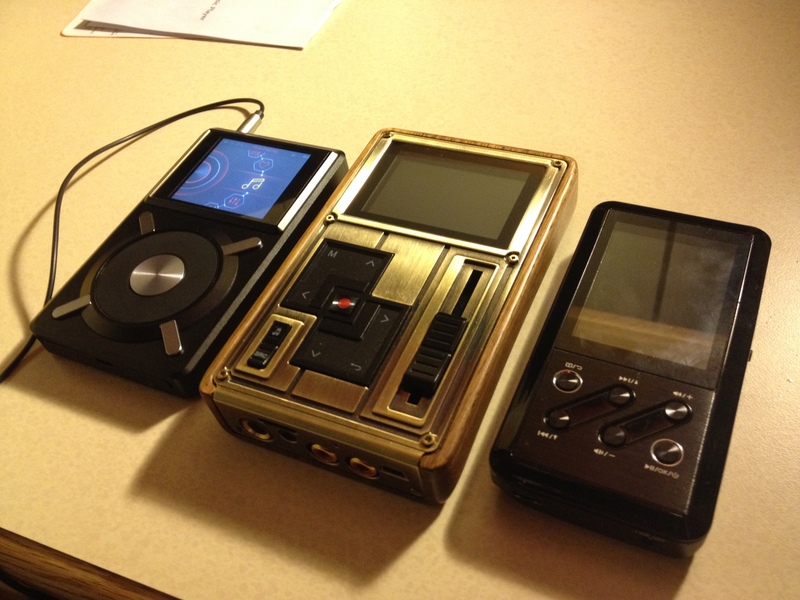 Despite the issues here and there, the C4’s build and features place it as strong contender for a desktop based portable-music-player. The issues are just minor inconveniences, compared to the strong feature set the C4 packs. I find that settings such as the fast and slow attenuation, and output phase were fun to try out, and made a great addition to listening to music. The easy UI made it a breeze to browse through my music, and it was pretty much simple to understand how the C4 operated in its entirety within the first 5 minutes; this is a rarity nowadays. 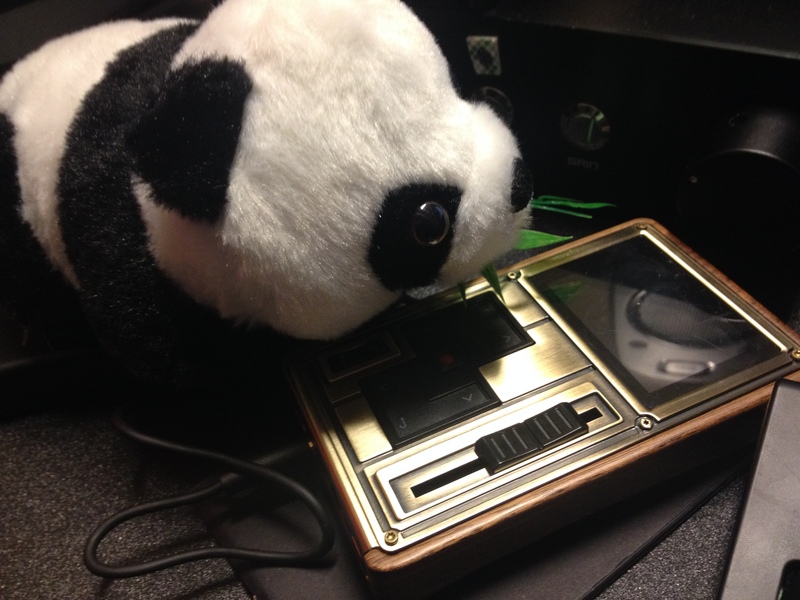 The sound quality section will be handled by Panda-Tech-Review’s standard audio review practices. The Colorfly C4 Pro was used alongside DAP’s such as the FiiO X3, FiiO X5, iPhone, and Kindle Fire HD. For the purpose of this review however, the C4 will be set alongside a Project-H unit which sports the same DAC – however implemented differently – and commanded by a micro-controller before leading to a desktop BurrBrown based Objective 2. The sonic review will take into considerations the C4’s sound directly compared to the Project-H, as well as impressions generated from using other devices. 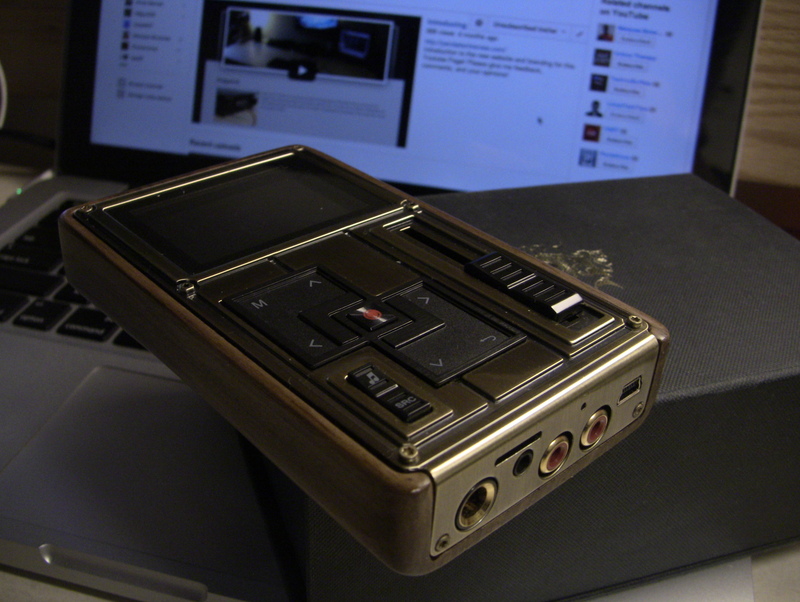 The C4 boasts the most neutral sound out of all any DAP I have in my collection. It sounds very close to the objective 2 and sports a similar sound signature. Difference being that the vocals of the C4 are warmer and brought forth a bit more than the O2’s. It has more texture and timbre in the mids thanks to this, but this also means it has a bit more coloration as well. The C4’s sound signature leans towards a hint of warmth on a slightly cold background. The highs, bass, and lack of coloration in the ‘background’ of the sound makes it slightly stale, but the mids make up for it. This quality is generally wanted and is a feature of devices with good sound, except theirs is more perfected to be more flawless. The soundstage is compact, and the frequencies are represented well. The C4 doesn’t have an overly large soundstage or imaging capabilities, but neither do most DAPs. It is very hard to extend the soundstage flawlessly without using a gimmick. Thankfully, the C4 doesn’t choose to go the route I have seen many go. While the increase in soundstage in other units is good to listen to, it presents a false representation of the music, and typically is done at a loss of sonic quality. Thankfully, the C4 keeps its integrity in check with present representation of all the ranges. I have no problems with the Colorfly C4 Pro’s choice of sound signature. I honestly prefer a bit of ‘personality’ in my music with a portable device; I’m using the term portable very loosely here. The sound is very clean and detailed, there is no muddying at all, and no artifacts or distortion. The C4’s best ability is sonic playback and it does it wonderfully, albeit at a loss of speed in the UI during initial decoding. 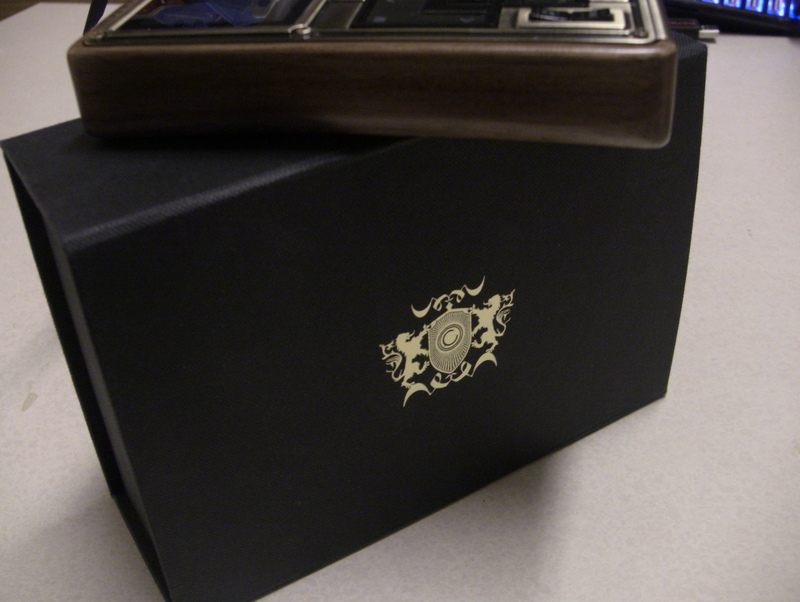 While it may not be one of the absolute best in sound, it does exhibit multiple qualities of a good unit, namely in its presentation of the frequencies. They are balanced without one having more presence than the other. The Colorfly C4 Pro is a solid device for people that want a desktop replacement they can move around or take with them. It boasts up to 96GB’s of storage at the moment and comes with all the bells and whistles you would want from a desktop unit. The unit sounds fantastic, and comes equipped with a simple UI for file navigation. The C4 does fall a bit flat in the areas of build quality, and has a few physical and software usability issues. While these don’t play much into the device considering its desktop niche target, I would still like a $799 DAP to be perfected more. Overall, while the Colorfly C4 Pro costs a pretty penny, it allows you to bring top quality audio playback and output features with you on the go. Its retro handcrafted design looks and feels amazing, and the unit stuns everyone that sees it. 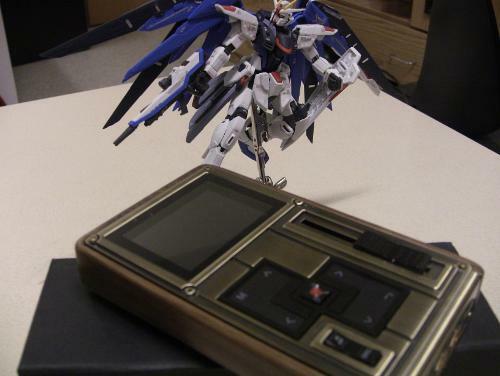 I would recommend the unit to people who are looking for a DAP at home to use as an auxiliary or as a ‘portable’ desktop unit. The FiiO X5 boasts a slightly warmer sound with a darker background than the C4. The frequency ranges are not as split and separated as the C4 is. This isn’t bad as it leads to a more cohesive and ‘consumer’ sound with the X5. The bass on the X5 are also a bit more pronounced, warmer and with more mid punch compared to the C4, but the C4 wins in the quality of the bass. Lastly, the mids on the X5 take a loss in smoothness as the C4 is able to power through challenging areas without any fluctuations in the mids. The C4 also promotes a cleaner mid range with a relatively ‘open’ background around the mid range. The X5 is more of a fun unit than the C4 at a cost of quality, while the C4 boasts quality, but at a loss of punch in its sound. Overall, the C4, while it excels in almost every way from an audiophile standpoint, is a different device than the X5. The sonic differences between the C4 and X5 were very slight however. Lastly, the neutral sonic signatures are very close in their nature, to the point where I had to isolate certain sections of songs and test albums to get the results I wanted. Panda Tech Review acknowledges the user’s opinions and encourages user participation and debate in the forum or comments section below. Good to see this DAP getting some attention on our boards. while I haven't heard one myself, I've always been highly intrigued by C4, having owned C3, CK4+. 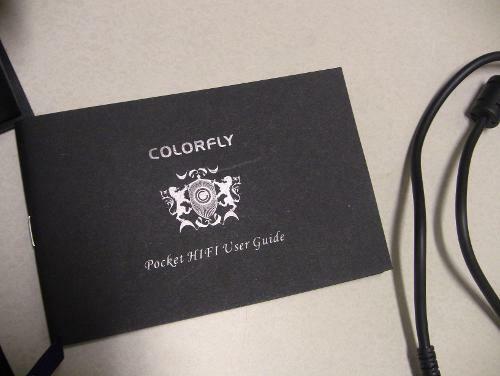 I see far to less mentioned about Colorfly on Head-Fi, when their players really are capable sounding units. They just need to work on a UI and a few other areas smooth them over. Really? I hear and see Colorfly on HF a lot? But that may just be me. and yes I agree, the C4 is excellent in so many areas, but falls flat in UI, and its niche target. When I first heard of it, I thought it was a 'legit' portable DAP. Whoever is going to walk out to a party or daily walking routine with the C4 is in for a VERY bad time. It's UI actually failed on me while I was making a video review of it which was quite funny. I'm talking about C4 specifically. I believe this would be one of the only detailed reviews for C4 I have seen on Head-fi. I never looked into the C4 at all before I got it. and after I got it, I don't look at reviews of a unit I am about to review in depth. My peers sometimes post reviews of the same thing and so I take a quick gander at their style etc, but nothing in depth to avoid bias. I'm looking through some HF reviews right now. Haha, one of them definately needs a larger size font right? 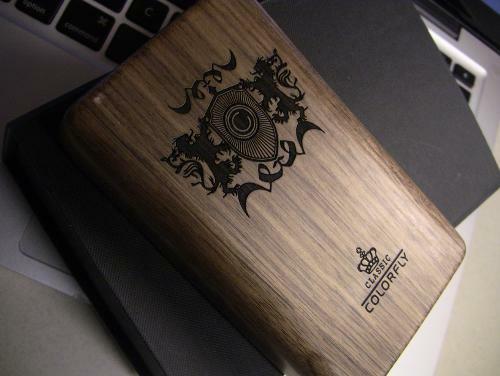 Actually I stand corrected, there's one other in decent length: http://www.head-fi.org/t/537307/review-colorfly-c4 . Anyway being a fan of Colorfly I have written a comparison to between C3 /CK4+ if anyone interested. I remember back when they were weee small and were just about to release their first 'legit' unit. The E17, oh what a year that was. 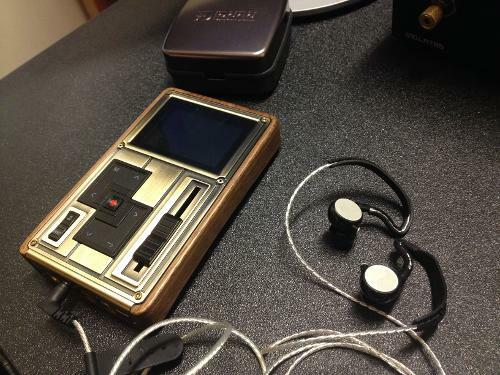 I think if FiiO can keep pulling in the direction of X5's signature (leaning towards neutral) over the warm house sound they adapted in early years they may please a wider variety of audiophiles, however they have a tough game on their hands because not everyone will agree on the edges of mainstream consumers. I believe I read comments from ClieOS saying some people overseas are unhappy about X5 being 'to neutral' while we won't complain here though others might. Personally (as you might be aware) I'm not a fan of FiiO's previous house sound. As for C4 a good friend of mine does have one in Australia, which he has offered me to demo, I would find it hard to justify the low run times though on a $500+ unit. I went through this battery slave charging with CK4, part of the reason I sold the unit, especially after coming from Studio V which gets up to 75 hours on FLAC, Hisound kind of set a new benchmark. Hopefully Colorfly's C5 expands on C4 (and CK4). Need at least 12 hours to make it comfortable imo. Their C3 gets about 16-18 hours with FLAC, but there's so little going on inside that unit besides playing a folder. the run times are understandable. I personally would like FiiO to head on the path of neutrality but from a business standpoint, that may not be entirely possible. I've spoken with James a bit here and there over the years and I've got a good idea that FiiO is doing very well in China, with him claiming they have reached post 1m sales etc. The market that purchase their devices may just be the kind that prefers the warm sound. Yeah, the C4's battery life, like a few others, is less than inspiring. Exactly mate, they must think from a business perspective. It's a tough juggling game to please everyone. I completely understand where they're coming from. I think a warmish signature is a safe sound too, for example Westone chose a warm signature for their series of earphones and the masses all agree. However, I think that Colorfly/Colorful has the ability to make something real awesome with their next product. Their main company seems to be larger than FiiO's, has more resources, and good things are known about their other products. I think that with a bit of Colorful magic, that CF can make a great product next. Touch up the UI, target the niche a bit more, and market it. From a technical stand point if you put the UI, battery life and asthetics aside then had to choose one of these players purely on sound quality alone, (meaning you were going to take one for a very long time to use with your headphone/IEM collection) do you think you would choose X5 or C4? remembering purely from a sound point of view. Well that seemed an easy decision to make. I must make an appointment to demo C4 sooner than later.